continue till 6th November at a local hotel in provincial capital. A large number of doctors have reached from foreign countries to attend this important conference. 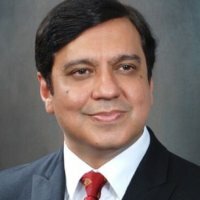 Professor of Neurosurgery Dr. Khalid Mahmood, the chairman organizing committee of the conference told in this regard that doctors coming from abroad have also brought modern medical equipments and machines to impart practical training to Pakistani doctors. For this purpose, a training workshop comprising 5 sessions would also be conducted in the Skill Lab established at newly constructed Punjab Institute of Nuero Sciences tomorrow. Prof. Khalid Mahmood also told that more than 250 delegates coming from abroad would also be given time for visiting historical places of the city after conference.